It’s acquisition time for one ASX junior and it isn’t mucking around. This metals explorer has had gold in its sights as part of a strategy to shore up assets in the Youanmi Project zone in West Australia. Its latest series of acquisitions, with JV partner Rox Resources, effectively gives it dominance in the area where it is not only exploring for gold, but also has well-established lithium and vanadium assets. It is this regional dominance that makes this company worthy of attention. Just last week, the company announced it was finalising an agreement to acquire the Youanmi Gold Mine. This morning, it announced it has agreed to acquire the high-grade historic Currans Find project, located in the central part of the Youanmi Project. Here’s why I like them. Situated just 480km to the northeast of Perth, lies one dormant gold mine that is about to get a new lease of life. Venus Metals (ASX:VMC) in collaboration with Rox Resources (ASX:RXL) looks to be shoring up gold assets at close to the speed of light, well not quite but certainly very quickly in terms of mining action. 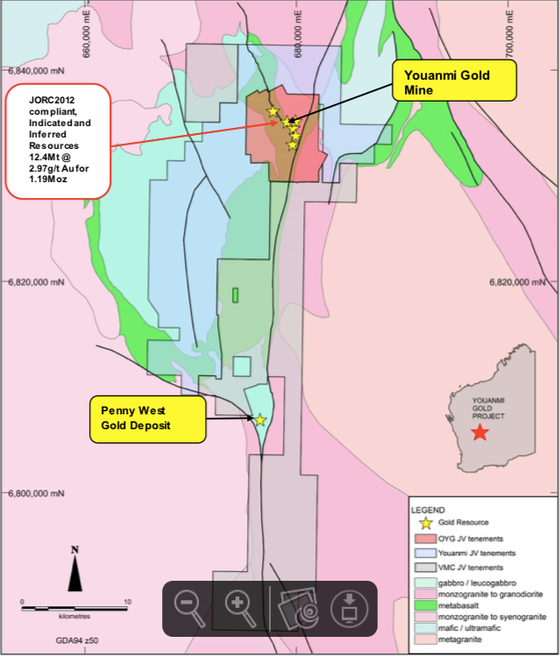 Just last week the two companies joined forces in acquiring the 1.2Moz Au Youanmi Gold Mine. This gold mine has a long, successful history. It was in operation from 1907 to 1997 and was shut down with the gold price hovering at around A$400 per ounce. The gold price is now A$1760 per ounce. However, there’s also some very successful past results to consider. Not least, the total JORC 2012 Compliant Resource for the Youanmi Gold Mine is now estimated as circa 1.2 Million Ounces of Gold. There’s also historical production of 667,000 ounces of gold grading 5.42 g/t from open pit and underground operations to consider. There is no doubt this is a near production asset, which makes it hugely attractive, but it was just the first step in the company’s acquisition plans. Today, VMC announced it has entered a purchase agreement with Doug Taylor and his Murchison Earthmoving and Rehabilitation Pty Ltd (MER) to acquire a combined 90% interest in two highly prospective tenements in the Youanmi zone. The two tenements, Currans Find (ML 57/641) and Pinchers (ML 57/642), are located in the central part of the Youanmi Project within and surrounded by VMC-ROX joint venture tenements. This is a strategically important acquisition. The highly prospective Currans Find lies along strike and only five kilometres from the high grade Penny West Deposit, where a promising new discovery was made in early March. The discovery was followed up by the release of outstanding early stage assay results, including 5.0 metres at 28.9 grams per tonne gold. VMC will be looking for similar results to Spectrum and it looks like it has the project to do so. The Youanmi Gold Mine is currently held by Oz Youanmi Pty Ltd (OYG) and is on care and maintenance. VMC has been granted the option to acquire all of the issued share capital in OYG on or before 30 June 2019, but also holds a significant regional tenement position in its own right and as a 90% participant in joint venture with a third party. The agreement between VMC and Rox also sees two other joint ventures formed: the VMC Joint Venture, and the Youanmi Joint Venture, granting Rox the right to earn 50% and 45% respectively of the gold rights on those tenements. VMC will continue to manage the joint ventures until ROX decides to exercise its 70% interest in the OYG JV. 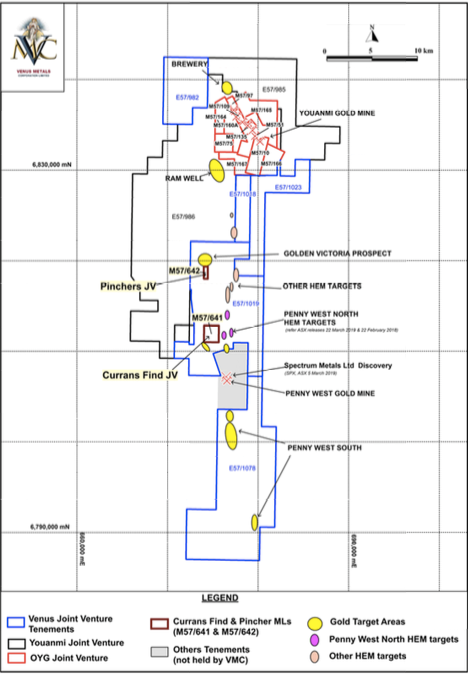 The OYG JV area covers 65km2, is circa 10km x 7km wide, and surrounds the Youanmi Gold Mine and nearby extensions. The VMC Joint Venture covers 302km2 while the Youanmi Joint Venture area covers 270km2. The regional JVs extend the length of tenure to 40km of strike along the Youanmi Shear Zone. So what is it about Youanmi? VMC and ROX will be looking to capitalise on the gold sentiment and current results in the region. The Youanmi Mining Centre has produced an estimated 667,000 oz of gold (at 5.47 g/t Au) since discovery in 1901 during three main periods: 1908 to 1921, 1937 to 1942, and 1987 to 1997. 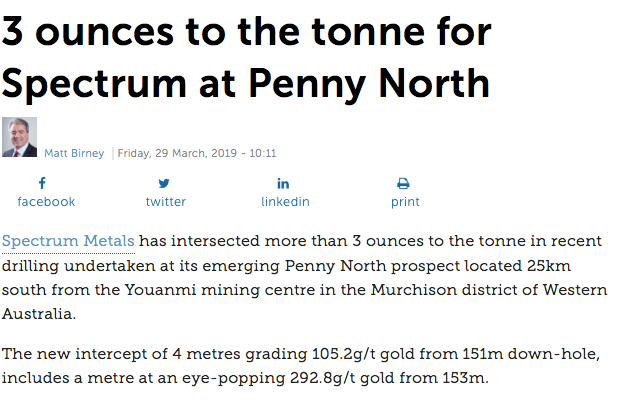 Most of the gold was produced from the Youanmi Mine with an estimated 96,000oz produced from Youangarra, Penny West, Columbia- Magenta, Currans and other minor prospects. With the gold price currently around $1760 per tonne, there’s a lot of upside here for VMC. VMC has upgraded all open pit and high-grade underground resources to JORC 2012 compliance after extensive modelling of the existing 15,183 drill hole data base. Further major upside potential has been identified through the concept of developing a single “super pit” over a 2km strike zone (connecting all existing pits from surface). Drilling has shown significant potential for high-grade resource extensions at depth. Venus holds all the surrounding exploration acreage where EM surveys have outlined extensive anomalies for testing to provide new discovery opportunities. It is these factors that make the agreement with Doug Taylor vitally important to VMC’s plans moving forward. Taylor himself sees the huge value in joining forces with VMC. 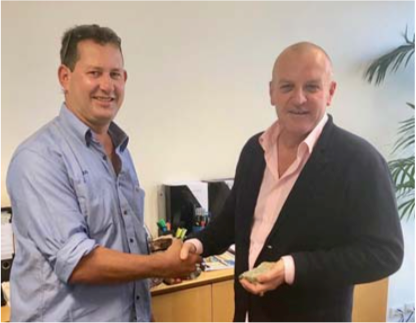 He said of the agreement: “I believe there are strong similarities with the geology at Currans Find and Penny West, so the discovery potential at Currans is, in my opinion, excellent. I have done the deal with Venus and Rox to become part of the bigger picture that Venus and Rox have now established at Youanmi with their excellent deal to jointly acquire the Youanmi Gold Mine with the aim of re‐establishing the gold mine”. Drilling will commence at Currans in approximately one month’s time following approvals and is the result of VMC’s hard work and the strong relationship it has built with Taylor. Taylor himself recognised the work VMC has done in the area over the last five years. VMC is looking at historical data as it plans its first drilling campaign. A review of early data has shown that nearly all drilling is shallow and that the considerable depth potential of the numerous reefs remains to be tested. Importantly, the Currans Find Mining Lease is a historical high‐grade gold producer. Cancelled GML records show that 6,874 tons were treated at the Red White and Blue battery on site for a recovered average grade of 13 g/t Au. That’s an excellent base to work from and VMC is confident that it can make the most of the work already done. This new gold acquisition, positions VMC as a major player in the region. With its diversity of metals and its knowledge of the area, I believe it is now in a strong position to greatly improve its market cap. 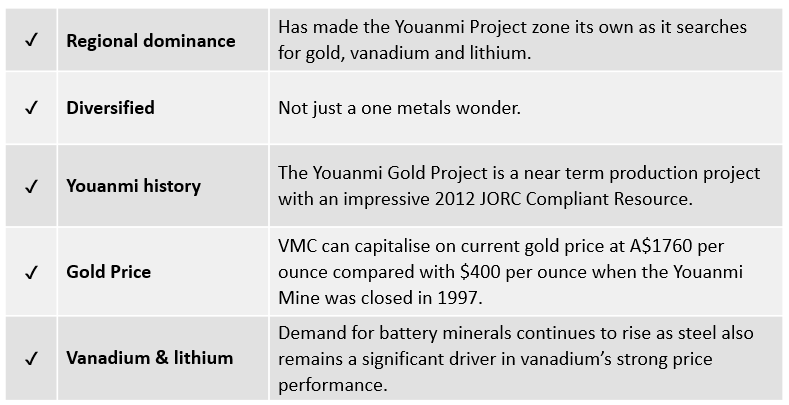 The current gold play is exciting, but VMC has history in the Youanmi region. VMC has updated its JORC Resource to a total oxide resource estimate in the measured, indicated and inferred categories of 134.73 million tonnes grading 0.34% V2O5 after an intense drill campaign of 139 RC holes. In addition, it completed scout drilling of 10 RC holes for 363m on two separate lines 400m apart at its Kangaroo Caves Prospect, 12km southwest of the Central Vanadium Oxide Prospect. Drill hole details, a drill location plan and assay results confirm the continuity of vanadium mineralisation within the magnetic trends associated with the exploration target. You can read more about this here. 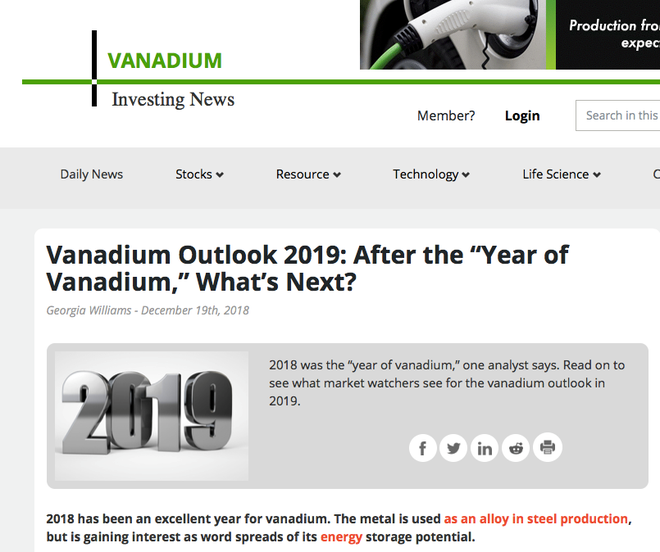 Given the fundamentals for vanadium, VMC is again placed well: China’s vanadium production is flat, there is fast growing application in the aerospace and defence sectors and global adoption for redox batteries is also growing. Lithium is also continuing to perform well. So, assay results from reverse circulation drilling that confirmed significant lithium mineralisation at the Youanmi Lepidolite Project, with multiple intercepts from Target 1 and Target 2, including 5m @ 1.30% Li2O could be enormously important in the long term. I am not going to focus too much on its lithium and vanadium assets today, as it is the recent gold activity that should make headlines and change the game for VMC. In fact, the gold play could be transformational for this $15.4 million capped company and with gold at a price much higher than it was when the Youanmi Gold Mine closed down, you would expect this to be a highly profitable play should everything work in VMC’s favour. What’s Really Below the Ground at VMC’s Zinc Project?